Marigold petals float all around the candlelit streets. Dia de muertos is coming. It's calling your name. 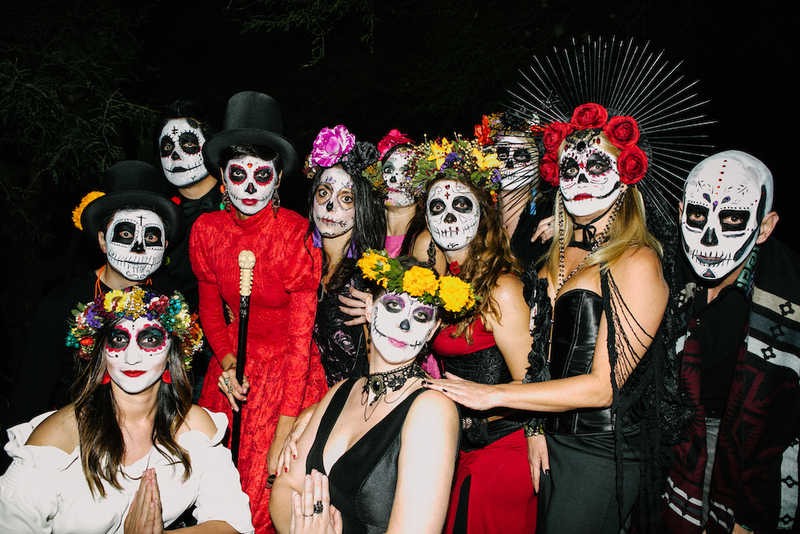 There is no place in Mexico like Oaxaca to celebrate Día de Muertos. Deeply rooted in their DoD traditions, Oaxacans know how to celebrate their dead and we’re coming to learn and enjoy the best of this centennial celebration. Open your heart to this journey to dive into Mexico's rich culture of honoring their ancestral past and celebrating the life and memories of those who have gone on before. Feel the life pulsating through the tranquil streets, taste one of the best cuisines in the world, live the creativity, art and culture that outpours in the streets and share this experience with other like-minded travelers. We are going deep into the festivity, attending cultural happenings, building ofrendas, visiting agave field to taste the best mezcals, eating chef-prepared meals, face painting, and doing a few adventure that will show you the magic of Mexico that will stay with you forever. This journey is by invitation only. Request an invite below. OAXACA: Oaxaca City is a complex but intensely attractive city. A Unesco World Heritage, the destination for this year’s Kinnerlat is a cultural destination like no other. Lovers of culture come to Oaxaca to indulge in the Mexico of Zapotec and colonial legend. Flowing through picturesque and tranquil streets, life pulsates with an unadulterated regional flavor. This curated experience is designed to connect with this land through its history, people and culture while we honor our ancestors and understand the power of being present. This is a way of traveling on a deeper and more personal level, adventuring with a community of like-minded explorers, and learning more about the culture and people of this amazing country. We know it’s not about what you see but about how a journey transforms you and the people you meet. We'll take you on an adventure that will widen your understanding of Mexico, give you hands-on experience honoring Mexico's ancestors (and your own), and show you the impact you can have on a region and community by bringing you closer to the artisans, creatives and makers that are pushing their culture and traditions forward. Our travel tribe is made up of like-hearted people who believe in experiencing the world in new ways that provide opportunities for learning, immersion, exploration, and experiencing the richness of a region through its local people, culture, art, and more. See some of our past events to get a sense of the vibe and energy we bring to the table. Spots are invite-only and limited. Join us.